The Dalai Lama believes the time has come for devolving his political responsibilities to a newly elected leader as Tibetans get ready vote their deputies into office within the Tibetan Parliament-in-Exile. The Dalai Lama said he would begin the formal process of stepping down at a meeting of the Tibetan parliament-in-exile next Monday. He said the move would be to the long-term benefit of Tibetans. The announcement came in a speech by the Dalai Lama marking the anniversary of the 1959 Tibetan uprising. "As early as the 1960s, I have repeatedly stressed that Tibetans need a leader, elected freely by the Tibetan people, to whom I can devolve power," he said at Dharamsala, the Indian town that has become his base. He added that his decision was not made because he wanted to "shirk responsibility" or felt disheartened. The BBC's Mark Dummett in Delhi says that whoever replaces the Dalai Lama faces a daunting task, as no other Tibetan comes close to matching his authority as a spiritual and political leader. He also called on China's leaders to show greater transparency. "China, with the world's largest population, is an emerging world power and I admire the economic development it has made," he said. "It also has huge potential to contribute to human progress and world peace. But to do that, China must earn the international community's respect and trust. "In order to earn such respect China's leaders must develop greater transparency, their actions corresponding to their words. To ensure this, freedom of expression and freedom of the press are essential." 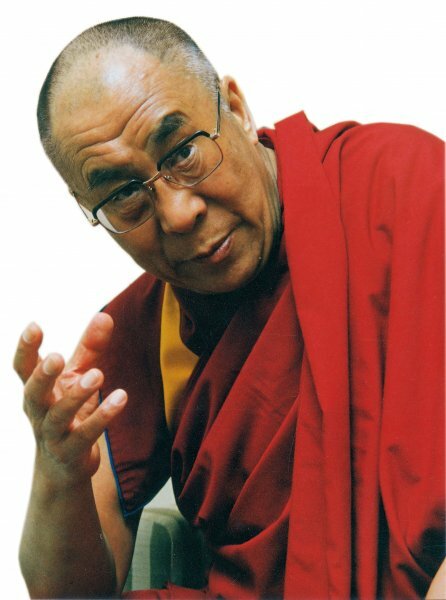 The Dalai Lama, who heads Tibet's exiled government, has lived in Dharamsala since fleeing across the Himalayas following the failed 1959 uprising against Chinese rule. He has said he does not want independence for Tibet, only meaningful autonomy. The Dalai Lama is routinely vilified by the Chinese authorities. In the run up to the anniversary, police in the Indian capital Delhi detained more than 30 Tibetan exiles protesting outside the Chinese embassy on Wednesday. The protesters wore yellow T-shirts and waved red and blue Tibetan flags, chanting "Free Tibet" and "We want freedom". Chinese officials have recently announced travel restrictions to Tibet ahead of the third anniversary of riots there.